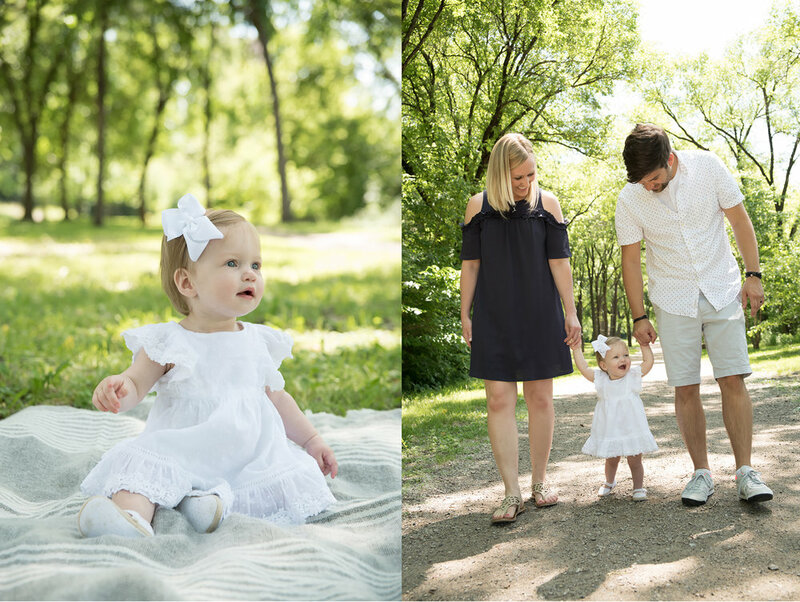 Summer and Fall 2019 Mini Sessions NOW BOOKING! Hi Everyone! I’m so excited Spring has finally arrived and it’s time to start thinking about getting outside for some fun Summer and Fall Mini Sessions. Please read all about the Mini Sessions below and learn how to book and where they will take place and when. I can’t wait to see you all! Mini Session dates and location are listed below. To book your spot, please go to the SCHEDULING page on the website, scroll down to Mini Sessions Category and click on the date you’re interested in and then find the coordinating date on the calendar to pick available times. Timeslots will be filled at a First Come First Serve Basis. If no slots are showing up on the date you’re interested in that means they are fully booked. Please only schedule if you are 100% sure this date and time works for you or you are willing to work around other plans that might come up. Deposits are NON REFUNDABLE/Non Transferrable. A Booking Contract will be emailed to you in 24-48 hours after filling out and submitting the online scheduling information and will need to be signed to finalize your booking. 50% deposit must be paid upon scheduling to confirm your timeslot. More fine print: Limited to Immediate Family Members Only and it is helpful if children are 6 months and older or can sit on their own if needed. 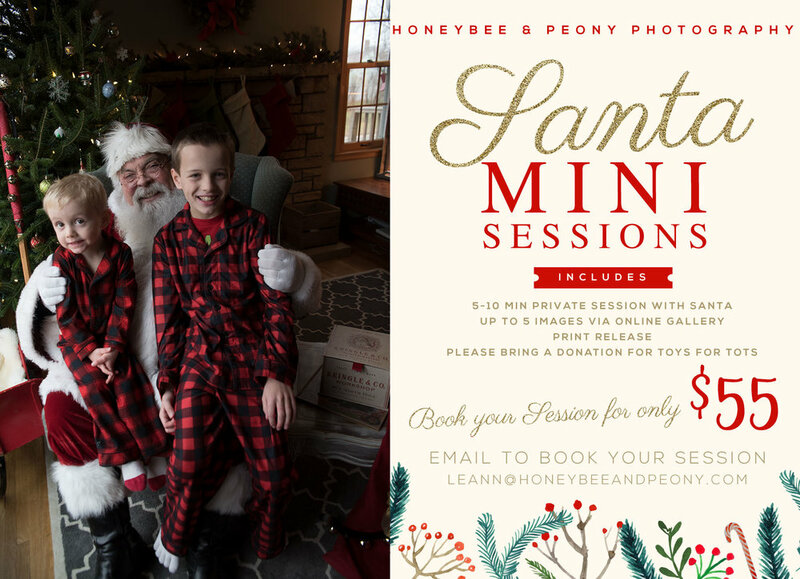 I will also be having Tree Farm Mini Session in November and Santa Sessions and Studio Holiday Mini Session in early December which I will announce at the end of Fall. 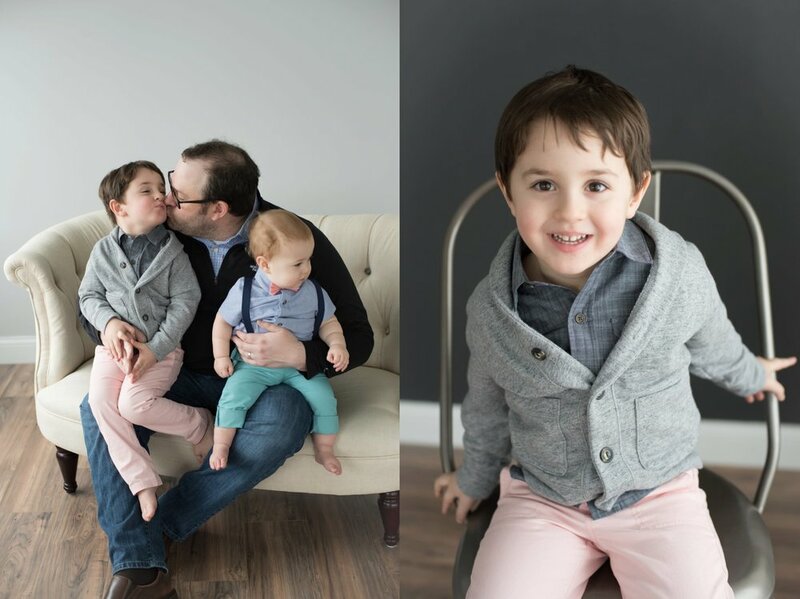 Having two boys myself makes is especially fun to take photos of boys and see the sweet brotherly relationship. These little guys were no exception. And hey, guess what?! 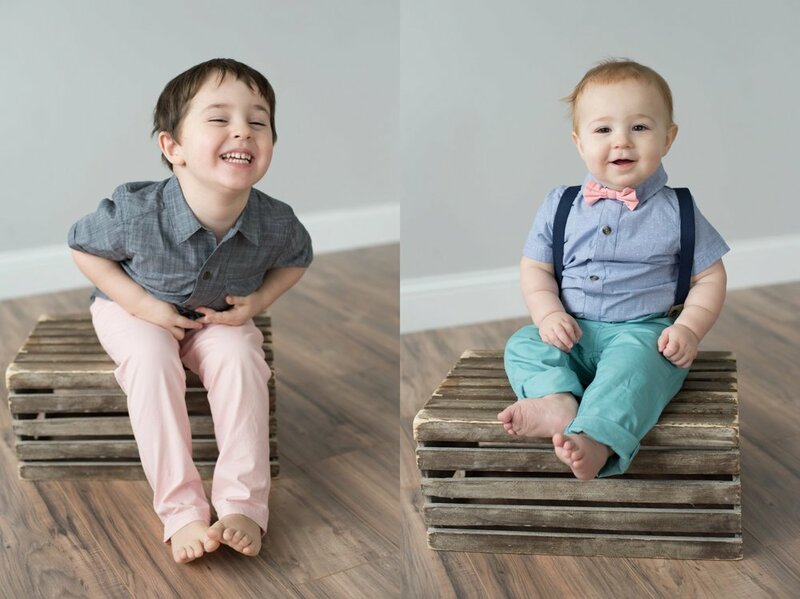 You wouldn’t know it (but I’ll tell you)… this session started out with mom and dad arriving only to realize their little guy had a blowout on the way over (and not the good hair kind) that resulted in poo on his cute pants and that the matching bowtie was left somewhere between their home and the studio. But, as always, we go with the flow! That’s just life!! So we wiped off the pants and went with it. A little poo doesn’t scare this lady away! And the missing bowtie, you would never know. Best part of the poopy pants?! 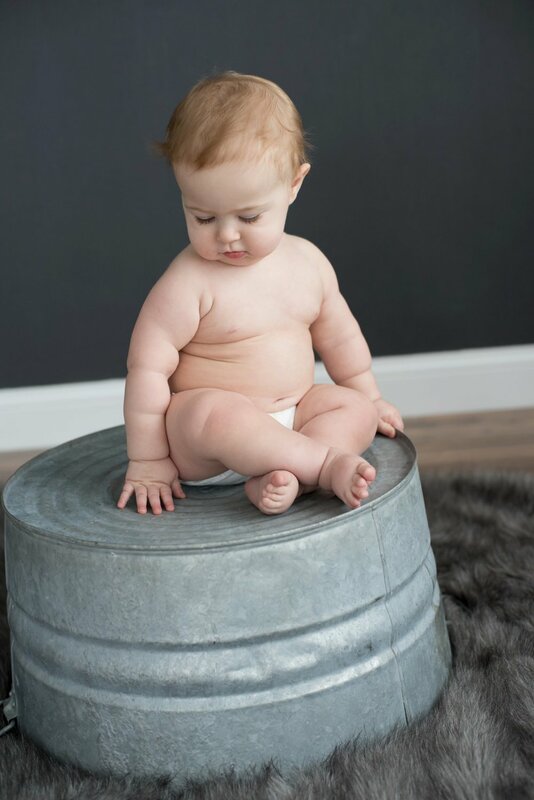 Stripping down to a diaper and seeing some very amazing baby rolls! Thanks Weiss Family! It was a please as always to see you and your sweet family! First of all, how is it ALREADY a month into 2019 and I am just finally remembering to post this?! I guess that’s what a new Fur Baby, the Holidays, Winter Break and the Polar Vortex does to a mom’s brain! But without further ado, her is one of my very favorite posts of the year! 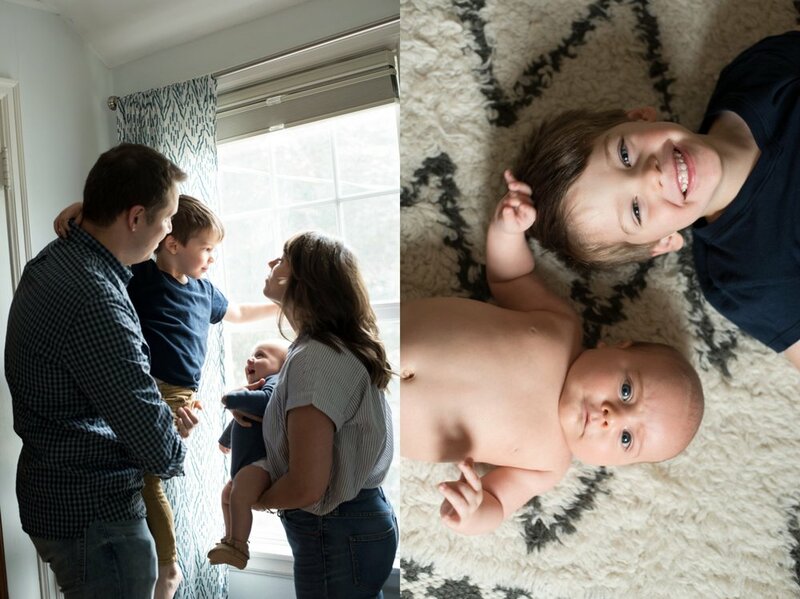 At the end of each year I take a peek back to each and every photo session I did and pick one image sticks out to me as my favorite from the session. It never ceases to make me smile, sometimes tear up and pretty much just remind me of how awesome my job is! So, THANK YOU ALL for an awesome 2018. Here it is!!! Can you find yourself? And if you’ve made it this far, you also get to see MY new baby’s first photos. Here he is in all of his cute furry glory. Introducing the newest member of the Manning Family, Charlie. He is 4 months old in these photos and is some sort of mix of lab and pitbull and maybe something else (we are just not sure). We adopted him from the Humane Society a couple days before Christmas and he has been an amazing and fun addition to our family. The boys love him dearly and he is my snuggle buddy and Jim tolerates him (actually Charlie is curled up in Jim’s lap as I type). He originally came to Minnesota from Mississippi so hasn’t been in love with the terrible winter weather we’ve been experiencing! I also realized he blinks a lot in photos which is adorable too. I hope you’re all enjoying the winter and can’t wait to see you again soon!! Hello and Happy 2019! 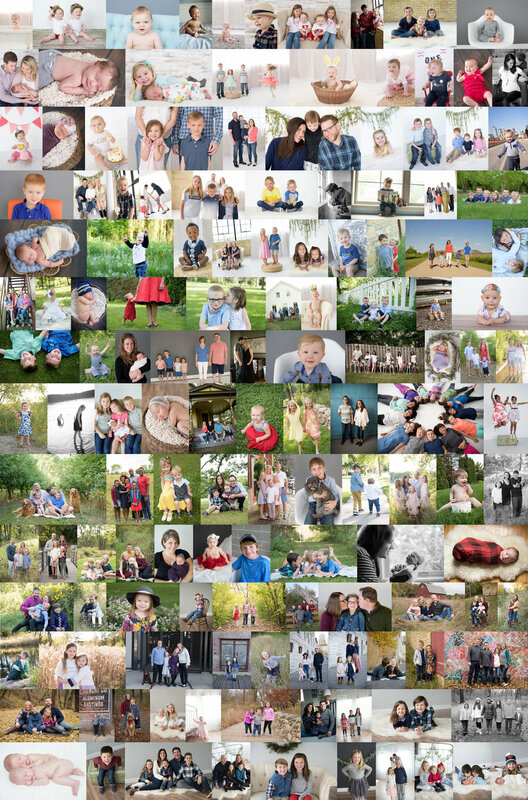 I am Now Booking Valentines Themed Mini Sessions at my studio in Hopkins! While I will have some Valentines themed props and colors available, these would also be great “for any reason” photos!! You will then choose your favorite 10 images (included in the $195) to download at no additional cost and additional images can be purchased if you wish. Additional Image Downloads will be available for $25/individual photo download or $100/all additional images. Online gallery of 15-20 images will be completed 2 weeks following session. The available times are listed below. To see available timeslots and book your mini session, click this LINK. $50 Deposit is NON REFUNDABLE and NON TRANSFERABLE and is due to book session. Remaining amount will be due on or before the session date. 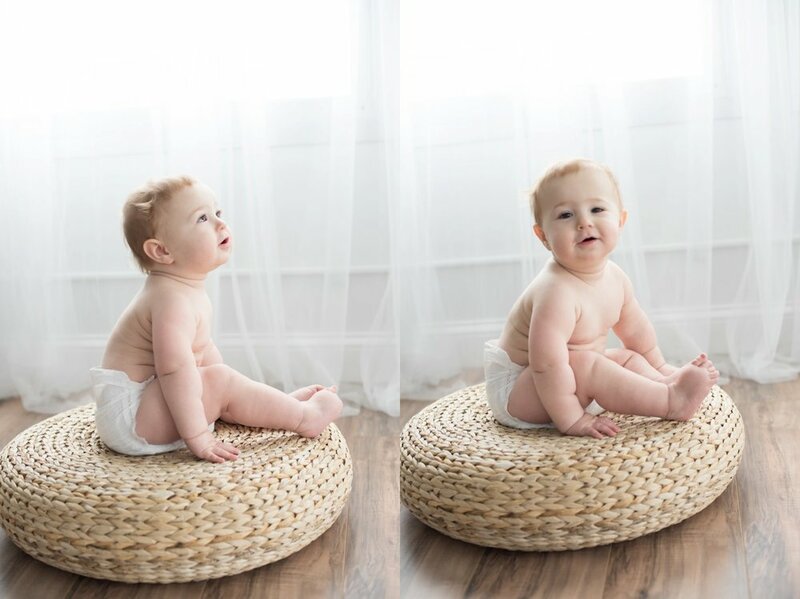 Children must 6 months of age and/or able to sit up unassisted. Timeslots will be updated as they are booked online. Jolly Old St Nick is Coming! Book your Line Free, Mall Free Santa Visit Now! Details: $55 per family and a donation to Toys for Tots gets you a 5-10 minute private visit with Santa, up to 5 high-res downloadable images (via an online gallery) and reprint release. Visits are for Children Only, No Family Photos will be taken. Sessions will be booked on a first come, first served basis by visiting my online scheduling link HERE. Click on the Santa Visits and then click on the date (in bold) to pick your time and complete payment. Payment is due in full at the time of Booking. Payment is NON-REFUNDABLE/TRANSFERABLE so please make certain the date and time you choose works for you before booking. I will not be replying to FB comments or Blog comments to schedule timelsots. TIMESLOTS are from 10am-12:20pm. All available time slots can be viewed at the above link, then click on Santa Visits. Holiday Mini Sessions are Now Booking!! 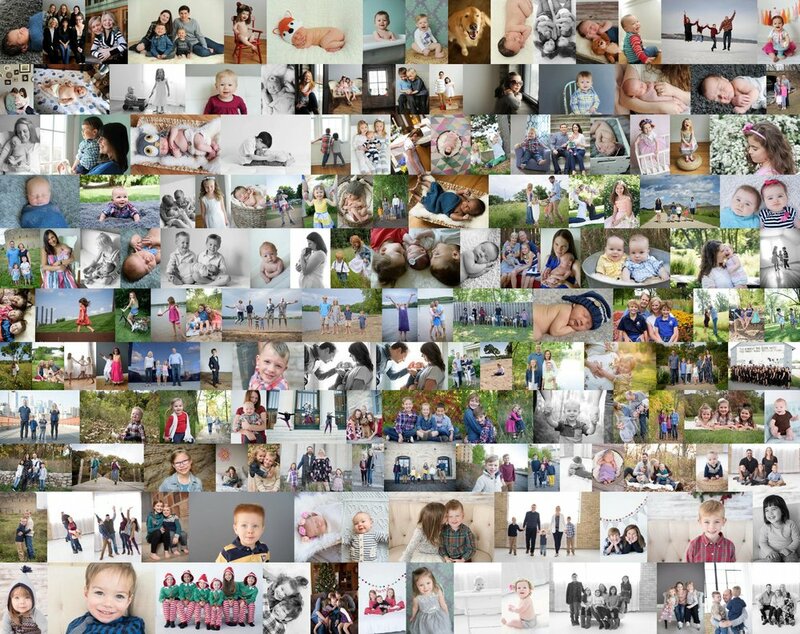 Turnaround time will be expedited and your galleries will be available 1 week after the Mini Session in order to still give time to order Holiday Cards. A Booking Contract will be emailed to you in 24-48 hours after filling out and submitting the online scheduling information. 50% deposit must be paid upon scheduling to schedule your timeslot. Deposit is NON REFUNDABLE/Non Transferrable. More fine print: Limited to Immediate Family Members Only. I will update timeslots as often as possible, but if they are unavailable on the online scheduling page, that spot is already full. Surprise! The Studio is Moving! Hi all! Wanted to share some big exciting news that my Studio will be MOVING! I know this may come as a bit of a surprise, since it seems like I was just announcing that I was moving out of my home studio and in to the studio in NE Minneapolis! But here it is, take a look at some photos of Honeybee & Peony's NEW Studio home in Hopkins! So why the move? You're probably wondering the same thing in your head as many are "Why would you move from that awesome space?" or "You spent so much time and energy renovating to make it your own?!". I wasn't looking and it just kind of fell in my lap and I was smitten by a photo. A little back story to help it make more sense... While out to dinner with some girlfriends, we were discussing my friend's home-based Rolfing business (side track, if you don't know what Rolfing is, it's a form of deep tissue bodywork and my friend Jen is AMAZING at it, you have to check her out :) She showed me a space that popped up for her on a random Craigslist search and it made her think of me. I'm pretty sure I may have instantly yelped, drooled a bit and wondered where in the heck this adorable space cold possibly be in Hopkins. In reality, my goal when I originally was looking for a studio space outside of my home was to find something in or close to Hopkins and nothing like this ever materialized for me when I was searching. The new studio is located right off go Highway 7 and Hopkins Crossroad. With a Caribou and Starbucks mere steps away (does it get much better than that?!). There are bathrooms right next to the studio suite, a changing area, waiting area with a tv and sweet photo area with hardwood floors, light grey and dark grey walls and beautiful natural light! It is so much easier to access than my current space which is a huge plus. Hooray! I can't wait to photograph your families and little ones in this space! Now Booking June 2018 Mini Sessions! This beautiful day is making me dream of summer and green grass! Below are my offerings for June Mini Sessions. I'd love to see you on Sunday June 3rd! Read on for more information! 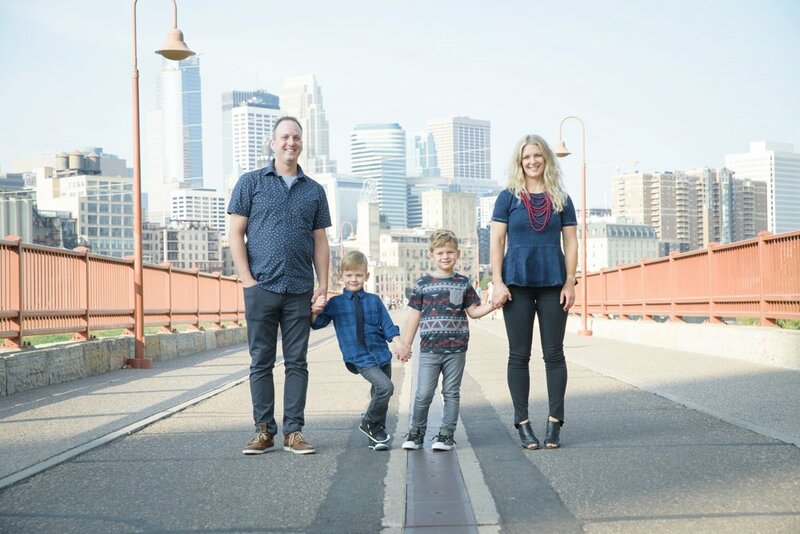 Morning Sessions will take place at Boom Island Park in Minneapolis along the Mississippi River with views of the Downtown Minneapolis skyline and a great bridge for photos. Evening Sessions will be at one of my favorite locations - Fort Snelling Historic Site which provides a variety of backdrops! Rain Dates for Outdoor Sessions: Please be available for Rain Date of June 10th if possible. There will NOT be another option for rescheduling in the case of rain other than the given rain date! A Booking Contract and Invoice will be emailed to you and a $75 deposit must be paid within 2 days to reserve your time. Deposit is NON REFUNDABLE/Non Transferrable. More fine print: Limited to Immediate Family Members Only. I will update timeslots as often as possible. The snow is beautiful, but there is nothing more beautiful to me than a sunny fall evening, a baby belly and the sweetness of a big-brother-to-be. I can't wait to get back outside for photos soon! Visits are for children only, no family photos. Timeslots are shown below. Please email leann@honeybeeandpeony.com with your top 3 timeslots. Sessions will be booked at a first come, first served basis. I will update open timeslots as quickly as possible. Please email for your timeslot - I will not be replying to FB comments or Blog comments to schedule timelsots. Payment is due in full at the time of the session by cash or check. Fall 2017 Mini Sessions Now Booking!! I am Happy to Announce my Fall 2017 Minis are Now Booking! A Booking Contract and Invoice will be emailed to you and a $50 deposit must be paid within 2 days to reserve your time. Deposit is NON REFUNDABLE. 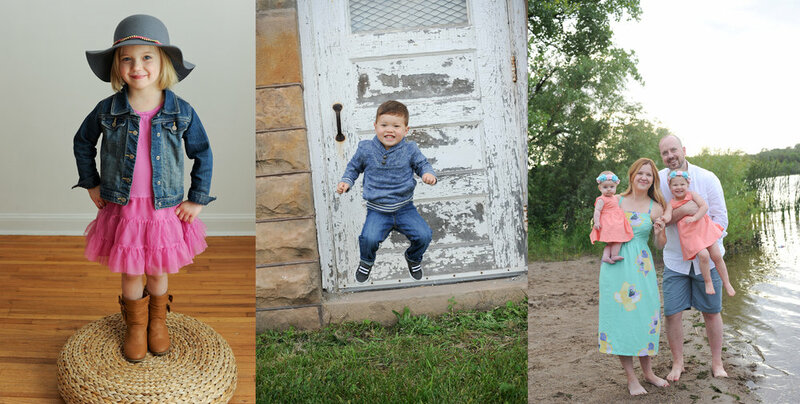 I am happy to announce my Spring and Summer 2017 Mini Sessions! More fine print: Children should be at least 6 months old and be able to sit up on their own. I will update timeslots as often as possible. Details: $55 per family and a donation to Toys for Tots gets you a 5-10 minute private visit with Santa, up to 5 high-res downloadable images (via an online gallery) and reprint release. Visits are for children only.